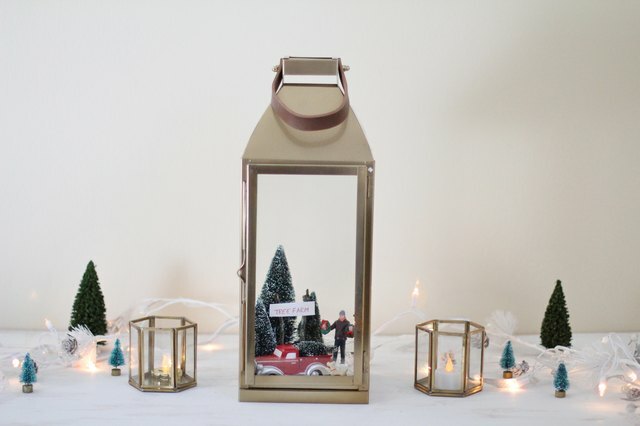 Create a cozy holiday vignette inside a lantern for quick and easy holiday decor. Simple-to-make and simple-to-clean-up is the best kind of craft. It's also portable so you can move it from mantel to table centerpiece to entryway and back again. 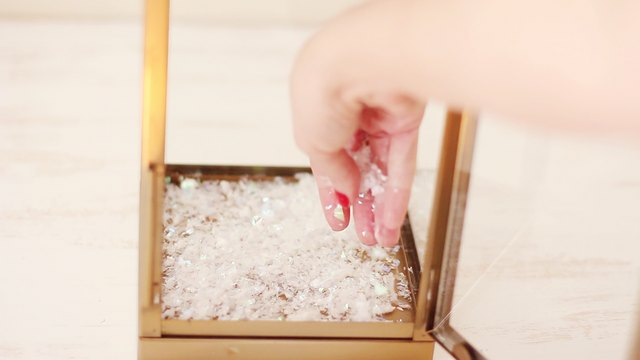 Place a bed of snow confetti on the bottom of the lantern. 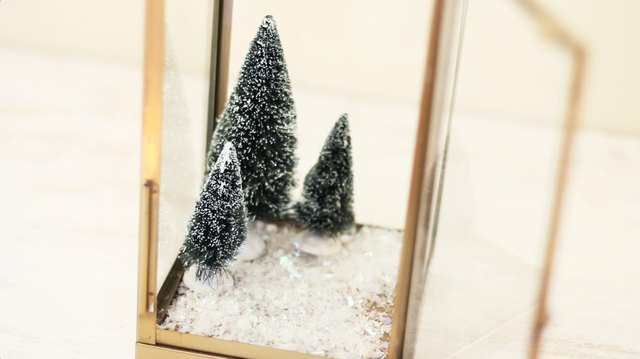 Arrange a trio of bottle brush trees in one of the far corners of the lantern, varying the heights of the trees. Gather two small twigs and break/cut them so they're slightly shorter than the bottle brush trees. 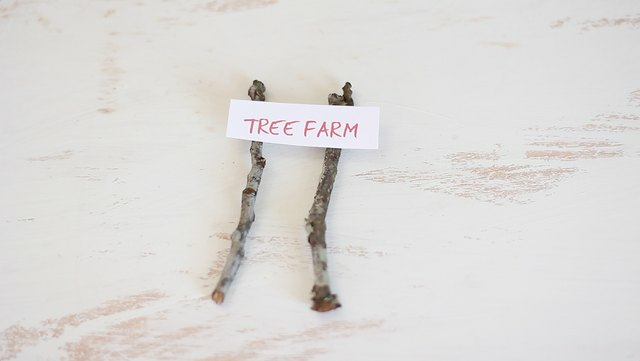 Print out a small sign on white printer paper or cardstock that says "Tree Farm." Cut it out and glue it to the twigs. To add a weighted base to the sign, glue the bottom of the twigs to pennies. 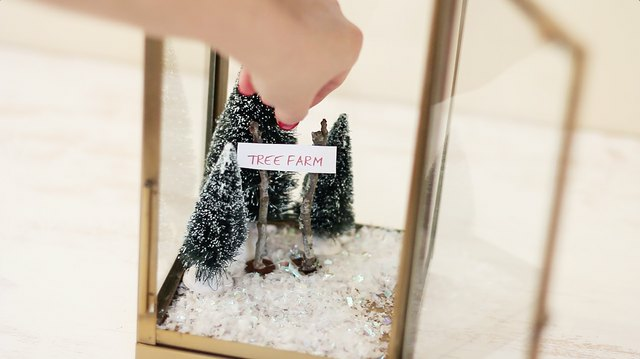 Place the "Tree Farm" sign inside the lantern in front of the bottle brush trees. 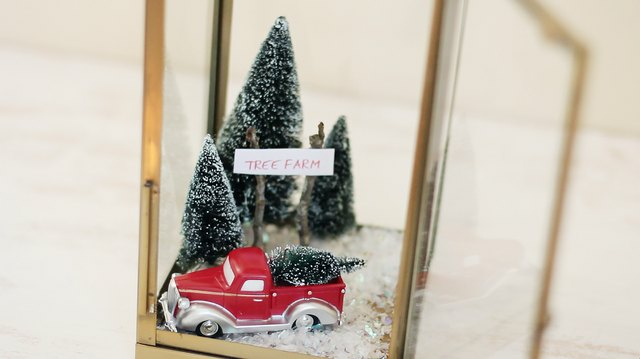 Place a small vintage truck figurine in front of the trees. Place small people figurines into the vignette to create the feeling of shopping and movement. I used a hipster-looking fellow holding some wreaths and a small puppy. 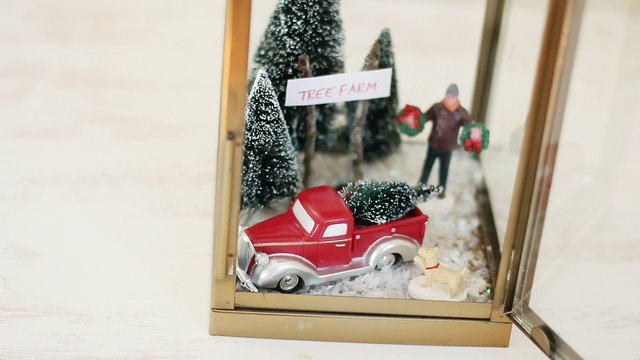 Have fun experimenting with your own creative vision to create a warm and glowing scene to stare at during the holidays!